For tea lover`s Sri Lanka is a paradise! 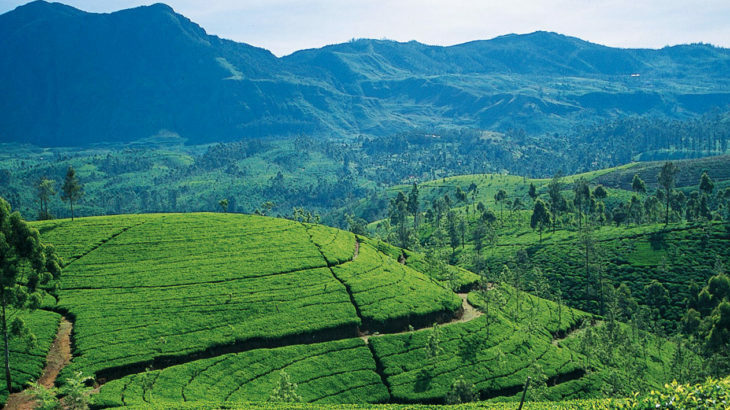 Sri Lanka is not only a home to stunning beaches but it also has a perfect ecosystem where a high-quality tea grows. The country is although has gained a good reputation as far as tourism is concerned, its tea plantations offer an experience to its visitors which is completely unbeatable. The surrounding tea plantation gives a whole new dimension to this beverage and an authentic experience to every tea-lover. In 1824, the first tea plant arrived in the country from China, as an ornamental plant for a botanical garden. Following the year, more tea plants from Kolkata, Assam and Kenya were imported. Due to the favorable climate and highland weather, the tea plants grew quickly. A cup of hot tea not only refreshes the mind but also gives a kick start to every morning. Travelling to another country can give a nightmare to anyone who begins the day with a perfect cup of tea. But if you have your Sri Lanka ETA visa, you can rest assured that you will definitely enjoy a warm cup of tea in a perfect environment. Green Tea– If you believe in starting your day with green tea, you will be amazed with Ceylon green tea. Coming from the same plant, the process of making green tea is different from black tea. The leaves are unfermented to maintain their antioxidant attributes. They are plucked, withered and heated but before dying and sifting, they are rolled. Enjoy a cup of green tea if you have applied for Sri Lanka ETA visa. Black Tea– Ceylon black tea is famous as one of the cleanest tea in the world. It is free of harmful pesticides and additives. The leaves are carefully hand plucked by the skilled female tea-pluckers. Only two leaves and a bud are plucked in large quantities which then undergo the final process. They are withered, rolled and fermented, then dried and sifted. The leaves are then separated into different grades. White Tea– Just like its name, this variant of tea is very unique. It is also one of the most expensive teas due to how it is harvested. For white tea, only the buds are delicately plucked at the dawn. The buds are not fermented and are hand rolled very carefully, individually. It is completely handmade and the color of this beverage is subtle and light. It is less on caffeine content and high on antioxidants, making it equally healthy. Treat yourself with more than just one type of tea while holidaying in the teardrop island of Indian Ocean. If you have not applied yet, do it now! Get your Sri Lanka ETA visa easily by visiting www.sri-lankaeta.com . tour-travel, tourist visa, visa. permalink.